Marseille want Ryan Babel if Mancini deal falls through, Everton to rescue Senderos? Rumour No. 1: If their loan deal for Inter Milan’s lightbulb-headed winger Mancini falls through, Olympique Marseille will look to Liverpool’s Ryan Babel as a direct alternative. Mancini has been stalling over personal terms regarding his temporary switch to Ligue 1 and the board at l’OM have become increasingly frustrated to the point of withdrawing their offer for the Brazilian which would leave Liverpool’s out-of-sorts Dutchman at the top of their list. Rumour No. 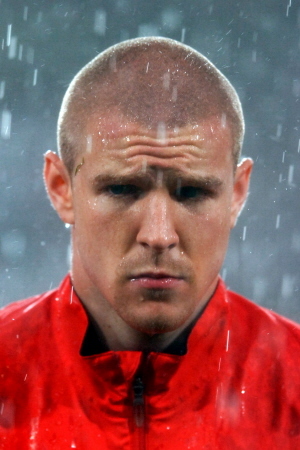 2: Everton are to reignite their interest in want away Arsenal defender Phillipe Senderos. 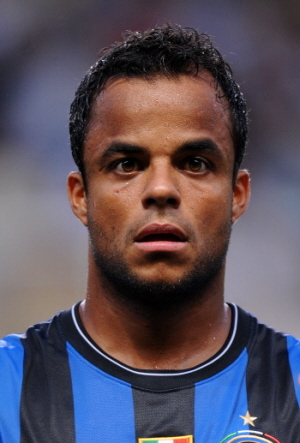 The Toffees attempted to sign the Swiss centre back in the summer but the prospective deal never went through. The 24 year old has been out of favour at The Emirates for some time and is desperate to leave to secure his place in Switzerland’s World Cup squad after recently stating that he is willing to ‘go anywhere’ to revive his career meanwhile David Moyes is eager to bolster his backline after long serving defender Lucas Neill called time on his illustrious Everton career yesterday. The Best of the Rest: Real Madrid have joined the race to sign Crystal Palace’s Victor Moses. Manchester City, Liverpool and Nottingham Forest have all expressed an interest in the young forward. Sam Allardyce wants to bring Middlesbrough’s Gary O’Neil to Ewood Park to strengthen his fairly average midfield. Tottenham, Bolton and, more plausibly, Inter Milan are considering moves for Real Madrid’s 33 year old midfielder Guti Hernandez who is out of contract at the end of the season. Fulham’s transfer listed midfielder Seol Ki-Hyeon has turned down a move to the Hong Kong First Division League with South China AA. The South Korean is holding out for a move to a more high profile league, presumably such as the Saudi Premier League where he spent last season on loan at Al-Hilal. Arsenal have pinched 17 year old Bolivian starlet Samuel Galindo from under the noses of Everton after the winger was on trial at Goodison last week. West Ham perma-crock Keiron Dyer is seriously considering retiring after yet another injury set back. Greek side Larissa are keen on signing Gabon striker Daniel Cousin from Hull City as the frontman has been told he can leave The Tigers. Bolton and Wolves want Newcastle United striker Andy Carroll for £2 million but they may have to wait and see if the Geordies sign Leed’s Jermaine Beckford first. Newcastle themselves are now on the verge of signing Danny Shittu from Bolton. Juventus may make a shock approach to bring veteran striker Hernan Crespo to the club from Genoa.